Hi, everyone! We had a relaxing day at sea yesterday, and today we're spending the day in Puntarenas, Costa Rica. We spent the weekend in Lima, Peru, which was amazing. Like I said, I had been there in 2004 (for Machu Picchu), but I didn't remember a lot of it as I was 14, so it was so nice to visit again. The Indian Market was great, as expected, and I definitely did some damage shopping. I stumbled upon this great shop that had baby alpaca hair pillowcases that look identical to a Johnathan Adler rug I have, so I bought one, and then had to go back for another! I have bought a lot more on this trip than I expected to, so I'm crossing my fingers it all fits in my suitcase. 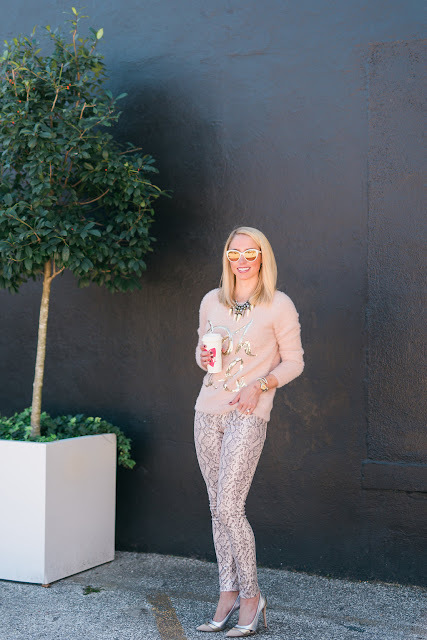 I bought this pair of pink snakeskin jeans last year at one of my favorite Houston boutiques, Cakewalk (they're no longer available, but I linked a similar pair above, that's also on sale!). 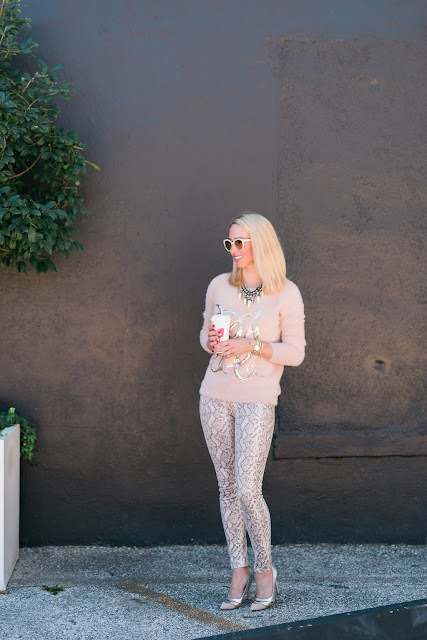 These pants happened to match the "Oh La La" sweater perfectly, and they're both in Pantone's color of the year, rose quartz. 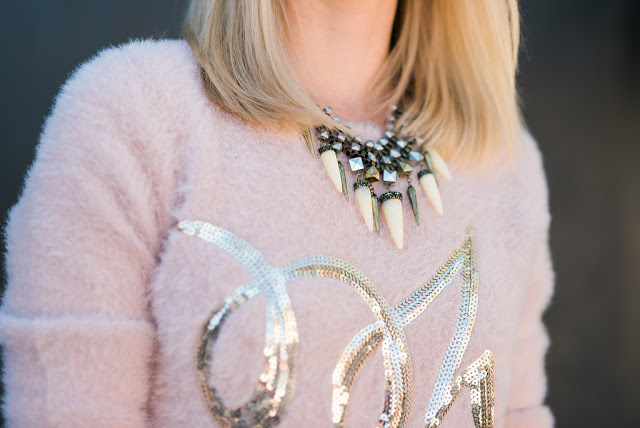 The blush pink hue is one of my favorites, of course, and the sweater is made of the softest material ever - it's under $35, too!